NEHA member, Paul Hester, DVM, REHS/RS, CQA, MAJ, MS is an Officer in Charge of Deployed Environmental Surveillance/ Health Risk Management with the U.S. Army Public Health Command Europe. Paul's member spotlight gives us a glimpse into the life of an environmental health professional serving abroad for the military. He also sheds some light on a crucial issue he thinks environmental health professionals face and what NEHA can do to help solve this issue. Paul ends the interview with an encouraging message to all students and young professionals starting out in the environmental health field. 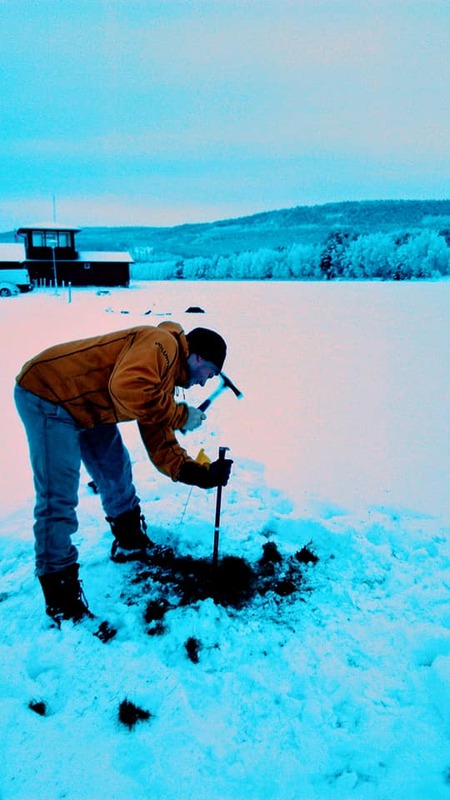 The pictures above are Paul Hester - official headshot (left) and Paul in action, soil sampling in Norway in support of a NATO exercise (right). NEHA: How did you get started in your environmental health career? Paul: I began learning about public health while I was in veterinary school and decided I wanted to focus on public health for my career. When I joined the U.S. Army I became highly interested in the environmental health mission as a primary component of public health and worked diligently for nearly two years to become an Environmental Science and Engineering Officer (ESEO). My first assignment as an ESEO, working the logistics side of environmental health in Korea, laid the groundwork for my love of our career field. NEHA: Describe a typical day working in the U.S. Army Public Health Command Europe. Paul: A typical day for Environmental Health in Army Public Health Command Europe involves sending one to two teams out to collect environmental samples for compliance or a survey in places like Belgium, Bavaria, Italy, or Romania. We might receive a question from U.S. Army Europe about water, soil, or air for field units in Poland. I may need to consult with a Department of Public Works about the laboratory data that was just returned or help with a public information campaign to teach the Soldiers about their water. Many days are spent looking at, and analyzing data from, field work to create documents which will be used to improve the lives of our community or to take care of Soldiers when they leave the military. NEHA: What are the main challenges and benefits of working abroad? Paul: The most difficult part of being abroad is being away from family and maintaining our ties to the USA. My children haven’t lived in the U.S. for most of their lives and we always strive to teach them what it means to be an American. From a professional standpoint, the most challenging part is understanding the different laws and cultures of the nations we support. There isn’t one set of rules for everything. There are a multitude of benefits to working abroad. The best part is getting to experience other cultures and to see firsthand the history of Europe. The chance to work with our allies is exceptional and builds relationships and perspective that can’t be developed by working only in the U.S. Lastly, although it is also a challenge, the different laws and regulations require a professional in EH to dig deep into the science behind the decisions and forces you to see different systems and ways of doing business. NEHA: What are the most crucial issues facing environmental health professionals, and what can NEHA do to help? Paul: People don’t know who we are or what we do. Most people think of health from an individual vantage point- I’m sick or my daughter broke her arm. Through that lens alone they understand the healthcare system, however, they aren’t seeing the picture of what WE do for health. Our patient is the population we serve, the restaurants we treat, the pipes we engineer, or the earth we analyze. We treat a family by treating a house. This can be confusing to some, but it is teachable. We are a group of extraordinary professionals who are passionate about what we do, but our worldview can be very technical, and difficult for many to understand. Because of this, it is imperative that we teach and show the value added, even synergistic, nature of what an environmental health program or leader can bring to an organization or business. Most of the population understands the importance of what we do when it’s explained, however, most of the world has no idea who actually does it or how it gets done. NEHA: What advice would you give to students or young professionals who are just starting out in their career? Paul: Never stop learning, and never give up. There are many times when environmental health is thankless, and sometimes we are even viewed as an enemy (for example the health inspector). It’s important to remember that because of the sanitary improvements that have occurred over the past century, people live longer, more productive, happier, and healthier lives. Work with a firm but gentle hand spending the time to teach, and remember that our customers are people who just need a little help. It’s better to have someone explain to you what they need to do better than for you to tell them. Visit the @USAPHCE Facebook page for more insight on The U.S. Army Public Health Command Europe. Become a member of the NEHA community. If you, or a NEHA member you know, is interested in being a part of our Member Spotlight series, please contact membership@neha.org.